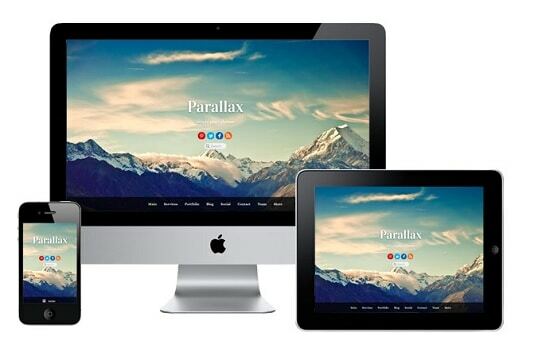 In the world of Web design, Parallax Scrolling is an wonderful technique in which, when you scroll vertically (or horizontally) on a webpage, the background image moves slower than the foreground elements and objects, thereby creating a “parallax” or illusion of motion and resulting in an eye-catchy and stunning effect which is capable of impressing your clients within minutes. Another similarly unique concept is Horizontal (left and right) Scrolling, which can surely make your website stand out from the crowd. If you really want to create a unique impression on your clients, then you must get your hands on themes or templates implementing either the Horizontal or Parallax Scrolling techniques. In this article, we are showcasing some of the best, most uniquely and creatively designed WordPress themes implementing the concepts of Horizontal and Parallax Scrolling. We have decided to put only the best of the best themes available, and hence include only the premium themes as there are hardly any good free themes which are worth mentioning in this list. This entry was posted in WordPress and tagged Horizontal Scrolling, Parallax Scrolling, Unique Wordpress Themes, Wordpress Themes on October 30, 2013 by Aritra Roy.